This article is divided into several parts, covering topics from the writing of simple e-mail sender Java classes to the integration of a JFrame with CKEditor, which is a rich web HTML editor. 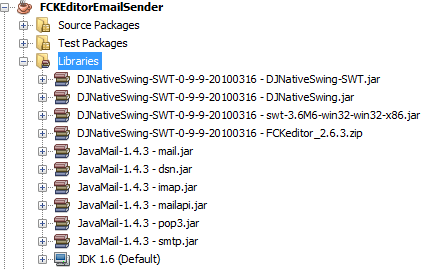 First of all, you need to download the latest version of Java Mail from this page, as well as DJ Native Swing. After you download the libraries, you need to put them into the NetBeans Library Manager. I recommend you store all libraries in, for example, C:\Program Files\Java\libraries. Choose File -> New Project -> Java Application. Click Next. When Name and Location Window shows up, name your project FCKEditorEmailSender and uncheck Create Main Class so that you end up creating an empty project. Click Finish. Provide a simple constructor by pressing ALT + INSERT and selecting Constructor... . Select all the fields in the window. Now that we have finished the e-mail work, we concentrate on the Swing and FCKEditor integration. You need to click right button over package EmailSender and choose New -> JFrame Form, call this class SendEmail and put this class in EmailSender package. Now right click over JFrame Design View and select: Set Layout -> Border Layout. Now when you try to drop JPanel from Pallete into Design View you will see a few borders which are simpy Content Holders of Border Layout. 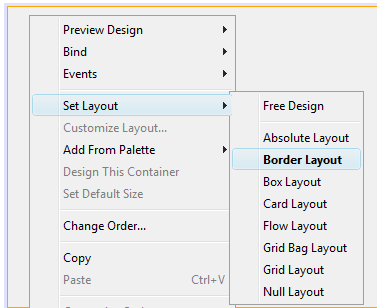 Please read about BorderLayout from official Java Docs. 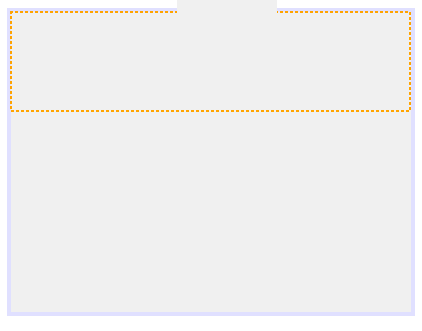 Click Panel from Pallete and drop panel as is in image below. In this area you will next put controls to get smtp values. 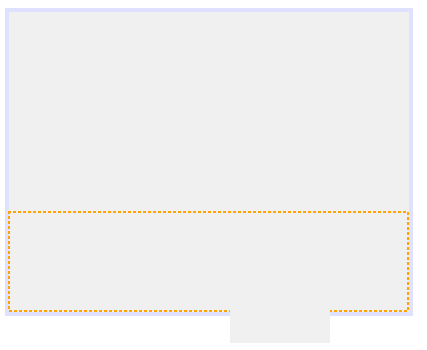 Now right click over the panel above and select : Set Layout -> Null Layout. This will make your controls not floating when user will resize window and secondly controls will be in the same position as it was created in Design view. Test with some diffrent Layouts when you run your application to see what will happen :) Now you will need to create buttons to interact with user. Put new JPanel into lower "Place holder". Here you can download the packed NetBeans project. When you download DJ Native you can double-click the DJNativeSwing-SWTDemo.jar to look closer into the various amazing classesm such as JWebBrowser JHtmlEditor with different HtmlEditors.